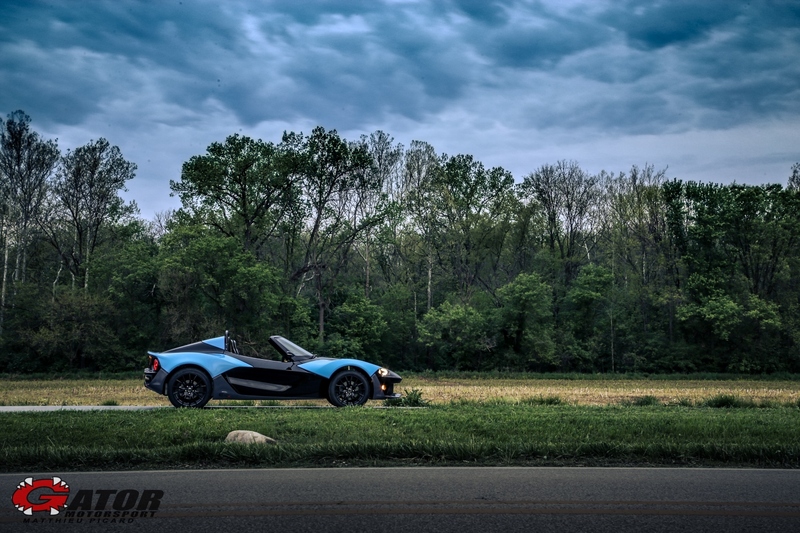 The Zenos E10 S is a demonstration of how low mass can contribute to high performance. Of course, it’s also designed to be powered by a turbocharged 2.0-litre EcoBoost engine that pumps out 250 bhp and 295 lb-ft of torque over a wide range of engine speeds. With just 1,560 lbs. (dry) to move, that means 0-60 mph in as little as 4.0 seconds. The unique construction of the Zenos E10 S is more than light and tough – it’s spacious, too. We’ve even provided two screens, one of which is in the middle of the dashboard, so your passenger is even more involved in every thrilling drive. And the supple ride provided by all-round double-wishbone suspension means that even after the longest drives you’ll both arrive feeling terrific rather than tired. This Zenos has seen proper break-in miles and is ready the open or closed road! Options include: E10 S specification, Track Pack, Weather Pack, Adjustable Passenger Seat, 3rd High Level Brake Light, Soarin Blue Paint Colour. In addition, we applied the sport exhaust and applied clear bra to various panels.